New to comics or looking to read up on Earth’s Mightiest Heroes? Try one of these introductory series or story arcs, recommended by the Marvel Unlimited team! Start at the very beginning to read one of Marvel’s very first super teams! Iron Man! Thor! Hulk! Ant-Man! Wasp! And Captain America joins up in #4! The founding team gets back together to confront an impending threat from Asgard. We think this cinematic series is a great place to jump in. After the devastating events of House of M (available as a Reading List! ), the Avengers are forcibly reassembled in the wake of the unimaginable – a breakout at Ryker’s Island, maximum security super human prison. Read Civil War as a Reading List! Captain America and Iron Man stand on opposite sides of the Superhuman Registration Act, acting as leaders of their own Avengers teams. After laying their subversive groundwork for years, it’s revealed that several of Earth’s heroes are actually shapeshifting Skrulls! One of the more psychologically fraught chapters in Avengers history. Read the entire event as a Reading List! Superstar creators Brian Michael Bendis and John Romita Jr. present one of the largest team lineups ever! Kang arrives from the future with a disturbing prophecy. Also notable in this series? The written “oral history” of the Avengers narrated by the members themselves! 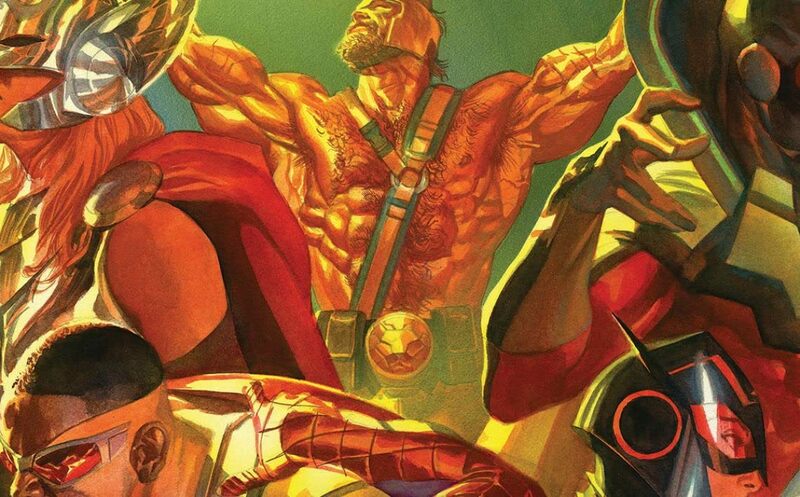 Luke Cage gets the keys to Avengers Mansion! (Along with series guest-star Jessica Jones). Joined by the likes of Wolverine and Spider-Man, Cage immediately gets caught up in Doctor Strange, Brother Voodoo and Daimon Hellstrom’s battle against an interdimensional demon. Available as a Reading List! Try the event that inspired Marvel’s Avengers: Age of Ultron! Eisner award-winning writer Brian Michael Bendis delivers this 10-part epic where Ultron attempts to eliminate all organic life with a drone army! The event that inspired Marvel’s Avengers: Infinity War! Seeking to impress the embodiment of death, Thanos wipes out half of all universe-spanning life with a snap. Writer Jonathan Hickman sets an interplanetary stage in this series featuring one of our favorite rosters ever! The perfect lead-in to Hickman’s Secret Wars! Black Panther leads his own team of: Iron Man, Doctor Strange, Black Bolt, Mister Fantastic, Namor and the X-Men’s Beast, to prevent collisions between a legion of parallel realities! Another event that inspired Marvel’s Avengers: Infinity War! Thanos’ Black Order is introduced in this astounding mini-series! The next generation of heroes Ms. Marvel, Nova and Miles Morales: Spider-Man, are joined by seasoned Avengers Captain America, Thor, Vision and Iron Man! This artistically masterful series follows a new collaboration of heroes following Civil War II. Frequent Avengers foe Kang the Conqueror sends Spider-Man, Captain America, Thor, Vision, Hercules and Wasp on a feverish trip through the timestream!